“First, you should put together a wish list – just click the button ‘I want!’ next to your favorite songs,” MusicMonster’s site reads. From here (or from Dropbox if the option is selected), songs can be downloaded to the user’s computer in MP3 format. This, the site suggests, isn’t a problem because users have already paid for the right when the stations paid their licensing fees. “The ability to save music (eg: analog recording) is a paid right. The customer has already paid for it,” MusicMonster advises. 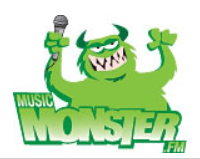 Perhaps needless to say, record labels aren’t impressed with this type of product and MusicMonster.fm eventually came to the attention of Sony Music’s lawyers. In September 2017, the Munich Regional Court delivered a first instance judgment that MusicMonster itself is the creator of the copies, not the user, so in this case the act of stream-ripping represents a violation of the label’s reproduction rights. Following an appeal by the service, on November 22, 2018 the Higher Regional Court of Munich agreed that the operators of the site could not rely on the private copying exception, declaring the MusicMonster platform both unlicensed and unlawful. The Federal Music Industry Association (Bundesverband Musikindustrie (BVMI)) welcomed the ruling. “This is a very important decision that contributes further clarification,” says BVMI Managing Director Dr. Florian Drücke, who describes MusicMonster as a service trying to generate profit using the private copying exception. René Houareau, Legal & Politics Director at BVMI, adds that courts are increasingly able to identify illegal and opportunistic business models from those that are officially licensed and return revenue to the entertainment industries. BVMI adds that stream-ripping is a big problem for the music industry worldwide but acknowledges that in some instances in Germany, the use of stream-ripped music sits in a legal gray area.